Catholic Charities and Sunbeam Family Services provide A Very Giving Christmas to ensure client families have a joyous Christmas morning while learning valuable life skills through their experience. Thanks to a healthy and vibrant community, donors are able to respond to the call of Catholic Charities and Sunbeam Family Services for needed items for St. Nick’s Shoppe. 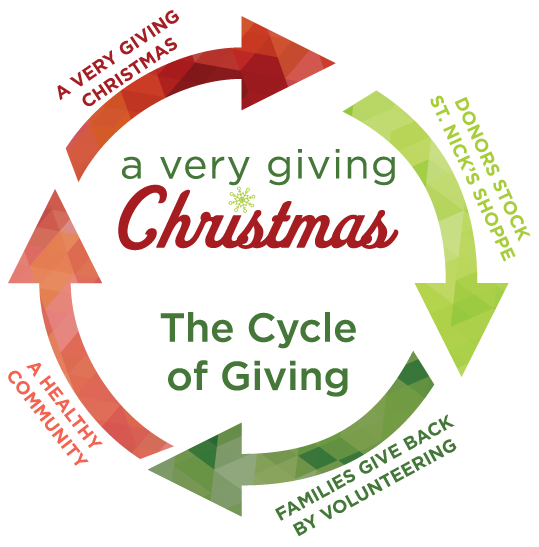 To gain full access to St. Nick’s Shoppe, each member of a participating family is asked to volunteer a set amount of time in the community. When supported by volunteer efforts, successful businesses, strong schools and healthy living our community grows.